Finally gluten free is going mainstream..for really real! Finding decent gluten free food that is ready to make is often a challenge, historically the available options included small companies that are big on price and low in taste..that was until…I found myself in my local Walmart Super Store on Thursday. I am admitting here that my relationship with Walmart is very love/hate. I hate going to Walmart. The store is big, bright, a pain to get to and they never have enough people working the cash registers so the wait time to check out really makes me think I am crazy for subjecting myself to this torture over and over because nothing changes ..ever. However there are times like Thursday when I find something new in the store I have not seen elsewhere and the end totally justifies the means. So as I grabbed paper towels, cleaning supplies, snacks for school and a few other staples I wandered over to the aisle with yogurt and the cookie doughs and what caught my eye was a small tub that said Gluten Free. 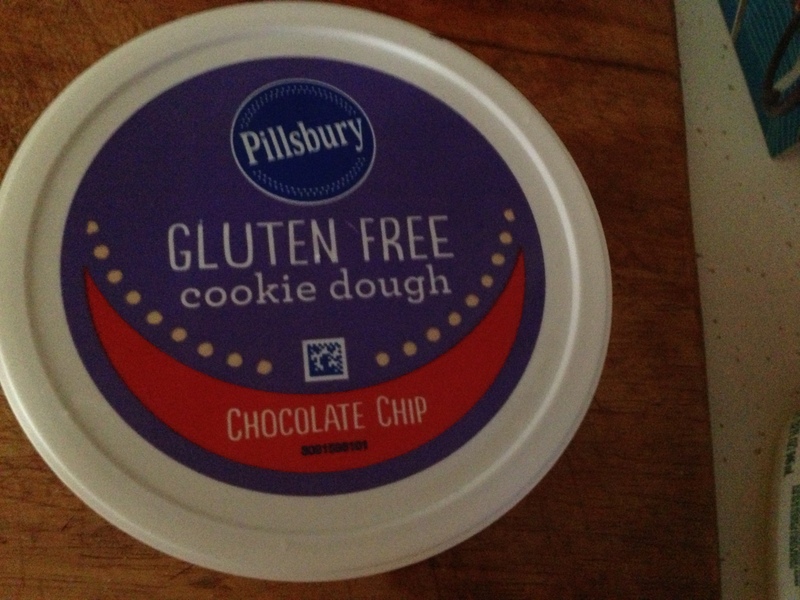 I looked over and it was actually a container that said Pillsbury, I nearly wet my pants with excitement. The Pillsbury Doughboy is GLUTEN FREE!!! WOOHOO!!! So of course me being me, I bought every item available to give it a whirl without even looking at the price. However the love part of Walmart kicked in when I looked and the price was $3.99 for a tub of chocolate chip cookie dough..finally reasonably priced gluten free, it was enough to restore my faith in why I venture to Walmart every now and again. Of course, once again me being me..I got home and instantly started doubting my purchase. After all, I have managed through much trial and error to come up with a method of making gluten free chocolate chip cookies that not only look good, but they also taste really good so if this dough is good, my ego was getting a swift kick. 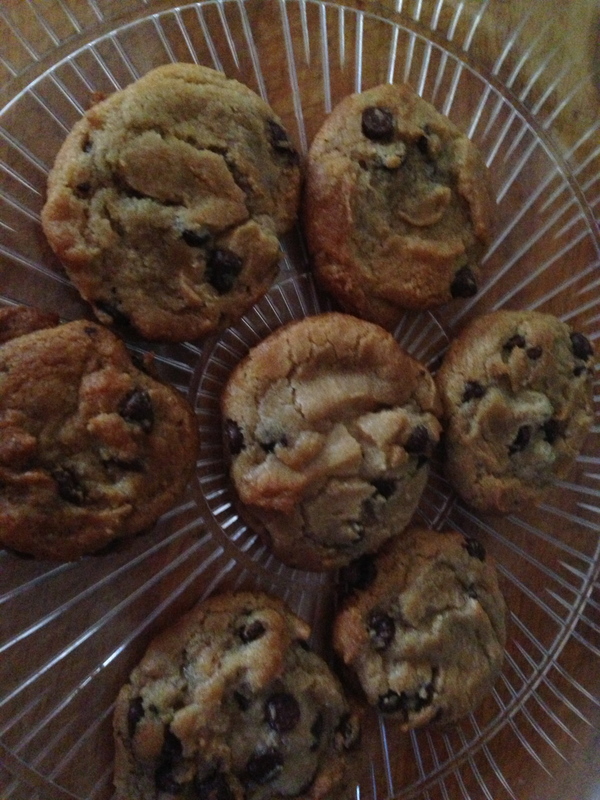 I decided yesterday to give the cookie dough a shot and baked a small batch. Just like regular pop n fresh dough all you do is take the container out of the fridge, preheat the oven to the recommended temperature (in this case 350 F) and spoon the dough onto a cookie sheet. I used a melon baller like I usually do to get a smaller cookie that is nice and rounded and the cookies are evenly sized.